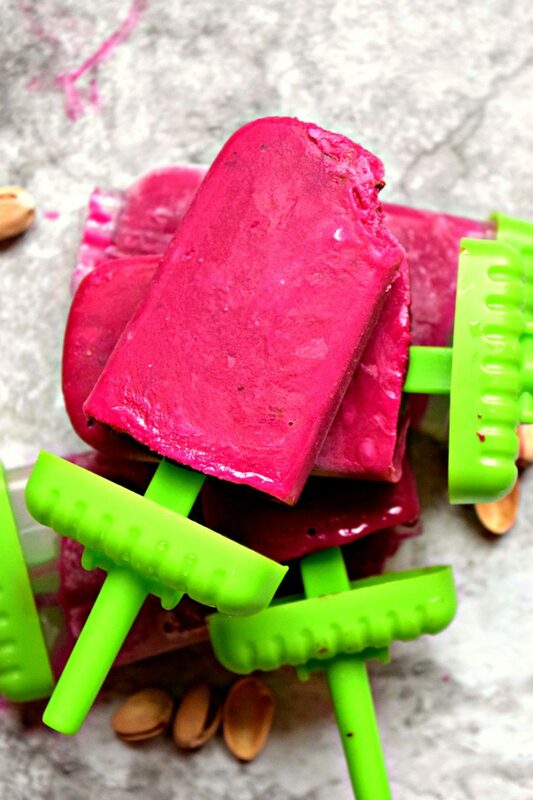 Beetroot Plum Rose Ice Pops is a healthy power snack. A unique combo of fruit & vegetable in one dish makes it very delicious. Fun Summer treat for all ages! All those who don’t like Ice Pops, raise your hands! Well, not actually all right! But I would really like to meet you if you are not a fan of Ice Pops, because you would be a rare one. Because majority of us love it. When I was in India, I never made one for myself. Whenever I would feel like having one, I would buy it from the local store. They would sell colorful Ice Pops in so many different flavors. I think I have tasted them all. But not just me, even my childhood friends have amazing memories w.r.t Popsicles. Ever since we were kids, we have been having these colorful ice pops together. In fact there is a specific special memory attached to it. During every summer vacation, all the kids from our building including me and my brother would wake up early in the morning despite it being holidays and go cycling in the neighborhood. In fact it was one of the initial summers when I learnt to ride a bike. A friend of mine taught me very patiently. We would first go this store where an old man would rent us bikes by the hour. We all had our bikes almost fixed, we would always pick the same one every day. Mine was an orange bike which I loved as it was my first bike ever. My brother had his own bike which was blue and grey. We all in a group would cycle around, hold races and try to out do one another. After cycling for more than an hour, exhausted, we would head back to return the bikes. The walk back home in the scorching heat would be less tiresome because of the Ice pops. There was this grocery store right next to the cycle shop. The change we would get from the bike rent would be used to buy the Popsicle. Since the store sold a variety, we would try a new flavor every day. So while walking back home, we would happily slurp away the Popsicle in between our non stop chatter and laughter. As a little girl back then, life was more carefree and guilt-free, we could enjoy these simple pleasures of life. Today we complicate life more than required. (rose syrup) to it and mix. Now strain this mixture. Pour in Ice Pop mold and freeze for at-least 4 hours. I know you may get impatient like me and keep checking your freezer to see if its ready, but trust me, it needs 4 hours at-least. 🙂 Once you have crossed the required time, pop them open. If they seem to act little difficult, run it through warm water, it will open easily then. 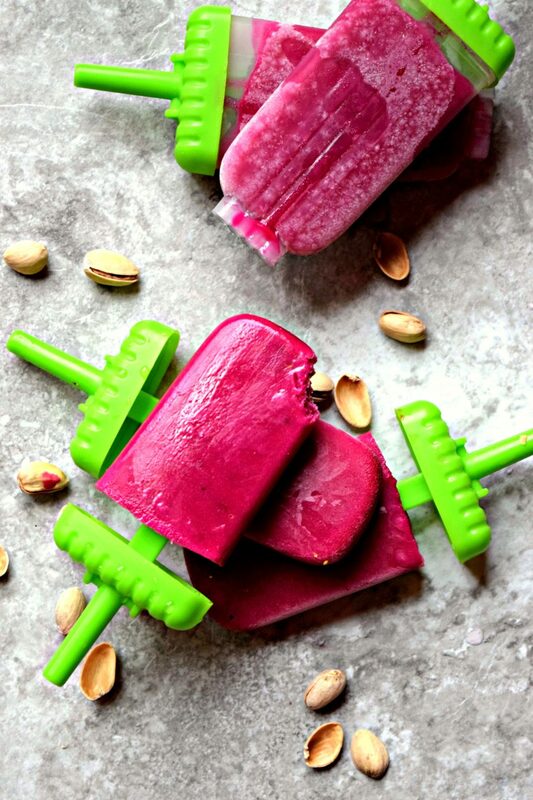 Beetroot Plum Rose Ice Pops are ready! 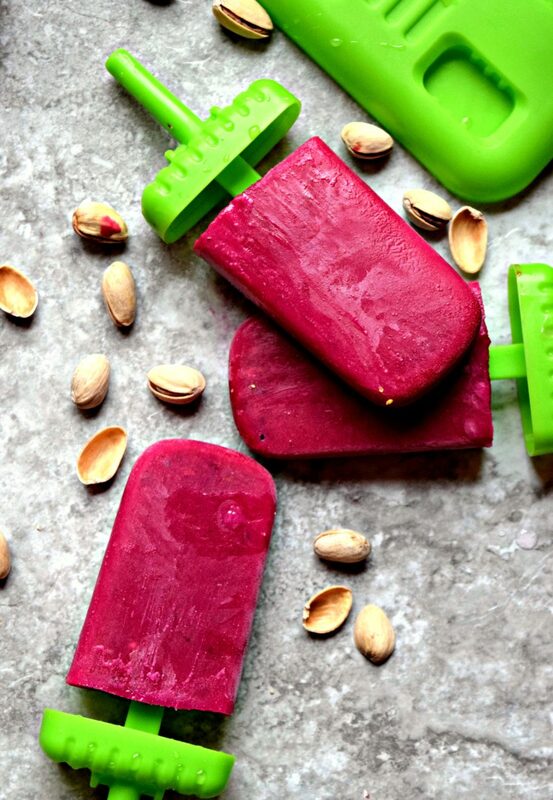 I know you would be wondering how beetroot would taste in a Popsicle. But believe me they taste great. In fact when I told KR that I had made Beetroot Popsicle, he made a face which expressed his displeasure. I insisted that he at-least try one before passing his verdict. I think you would be very much interested to know that I have been told by him to continue making these Ice Pops whenever I get a chance. This goes on to prove that these healthy snacks are surely a welcome treat and the addition of beetroot just makes it even better. Boil the beetroot and chop them roughly. Wash and chop the plums as well. Blitz them in a blender along with milk and honey. Then add Roo Afza (rose syrup) to it and mix. Once you have crossed the required time, pop them open. If they seem to act little difficult, run it through warm water, it will open easily then. 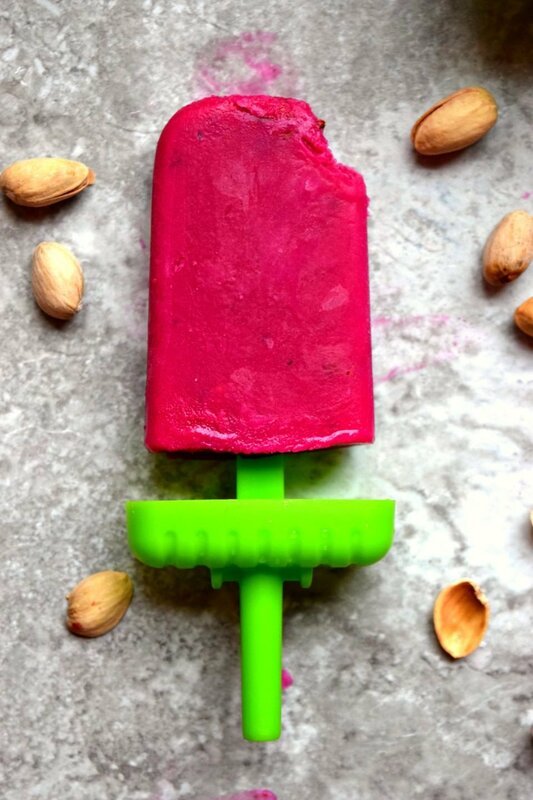 Beetroot Plum Rose Ice Pops are ready! 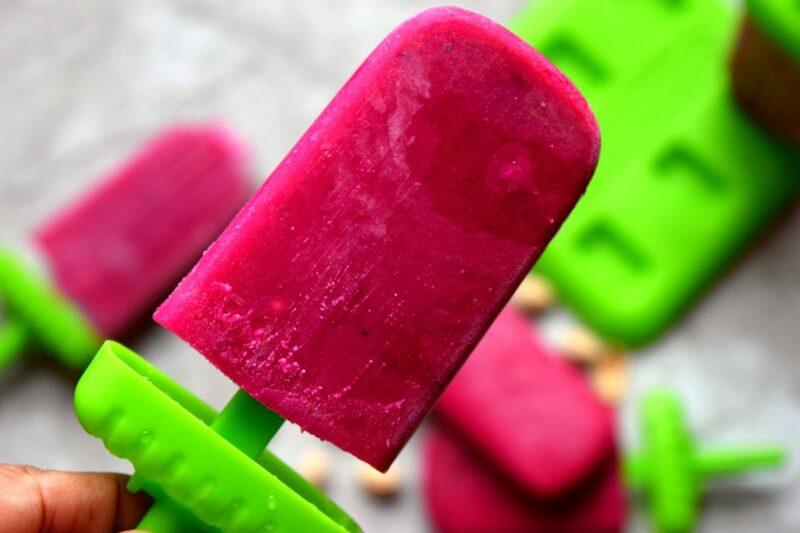 Beetroot in an Ice Pop is refreshing, healthy and delicious. 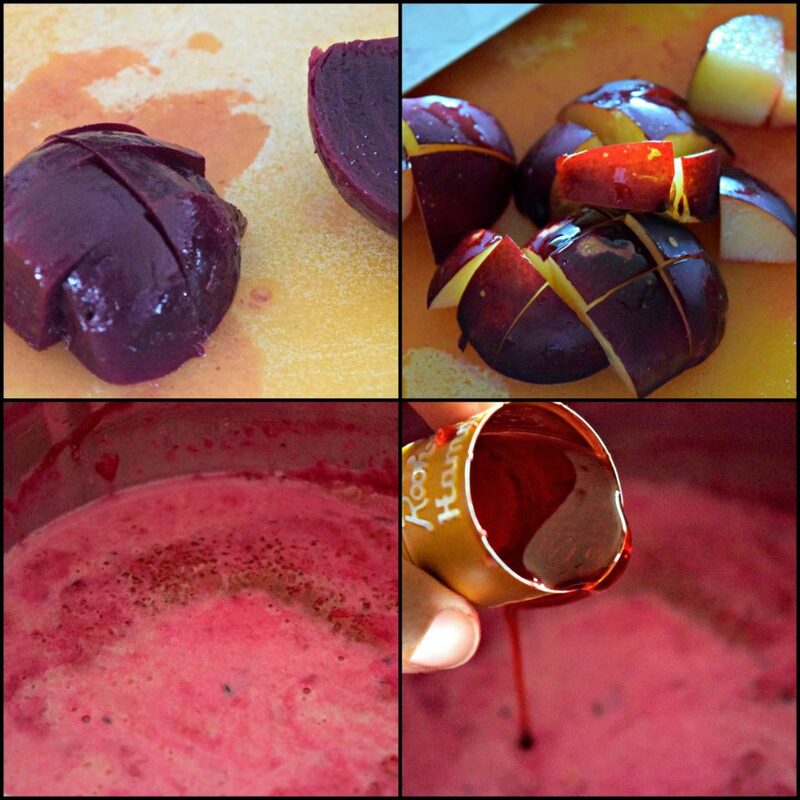 The natural sweetness of beets, plums and rose syrup blends well with one another to give it its unique flavor. 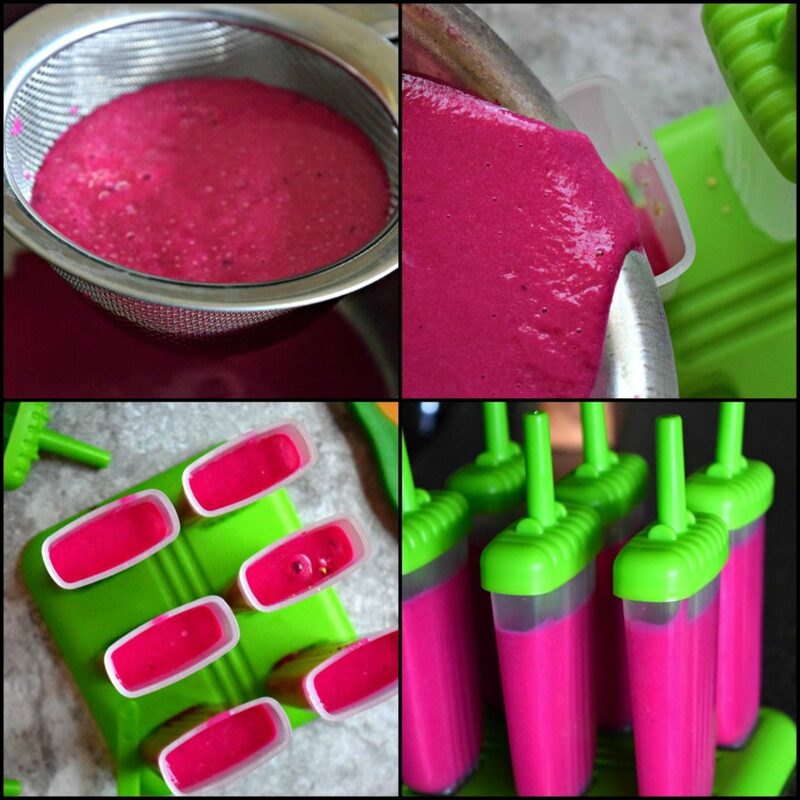 Plus it gives it a nice deep red-pink color which makes it even more appetizing and inviting, especially to kids. A treat that can be enjoyed across ages anytime of the day. 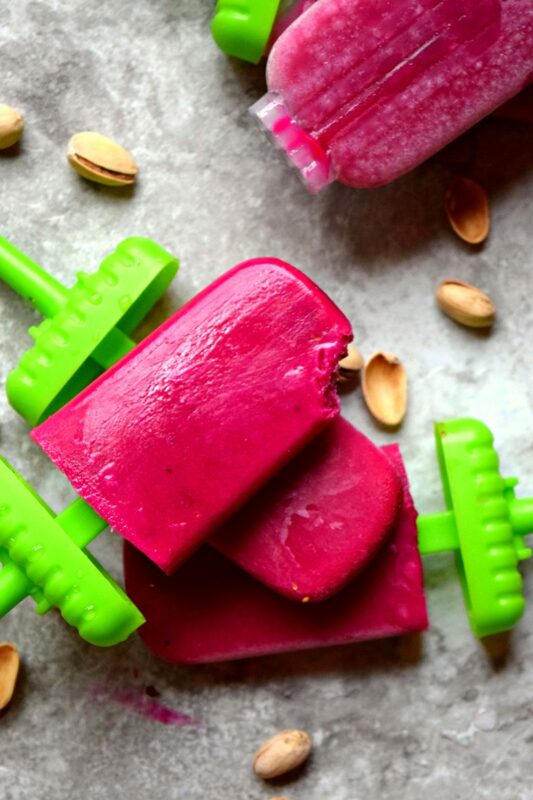 Give these Ice pops a try and get ready to be surprised with the burst of flavors in it. A lip smacking healthy treat in the true sense!